The government's gauge of consumer prices fell in March, pulled lower by an unexpected decline in gasoline prices. The Consumer Price Index (CPI) fell 0.1 percent after rising 0.2 percent in February. It was the first drop in prices in almost a year. That's not to say everything was cheaper last month. The costs of food, shelter, and medical care were all higher in March, but they were outweighed in the CPI by a 4.9 percent drop in prices at the pump. When you strip out food and energy from the March index, prices were up a modest 0.2 percent, in line with estimates. 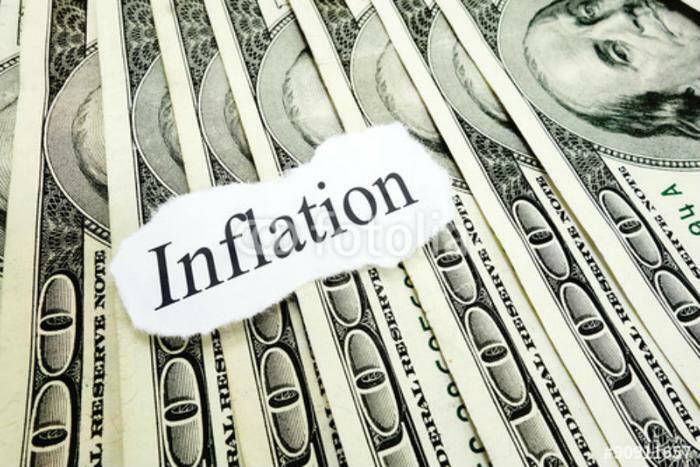 Over the last 12 months, inflation is running at a rate of 2.4 percent. That's the largest 12-month increase since March 2017 and higher than the 1.6 percent average annual rate over the past 10 years. Energy prices were up 7.0 percent over the past 12 months, with gasoline up 11 percent. Overall food costs rose 1.3 percent last month, with prices for meats, poultry, fish, and eggs rising 0.8 percent. Prices of cereals and bakery products rose 0.4 percent. The cost of dairy products was up 0.3 percent after being up the same amount in February. The Bureau of Labor Statistics report shows prices for new cars and trucks showed no increase in March, while prices of used vehicles fell 0.3 percent. Prices consumers paid for clothing went down 0.6 percent. Overall prices were a little softer than most economists predicted. The consensus estimate was for the CPI to match February's level. However, prices could soon resume their upward movement. On Tuesday the Producer Price Index (PPI), a measure of inflation at the wholesale level, ticked up 0.3 percent, suggesting building price pressure among producers. While those higher prices normally get passed along to consumers, economist Joel Naroff, of Naroff Economic Advisers, says that it's not clear they will in this case.